The 2020 Jayco Eagle HT 324BHTS is a superb RV, and if you're dreaming about this great Travel Trailer then head on into TerryTown RV today! 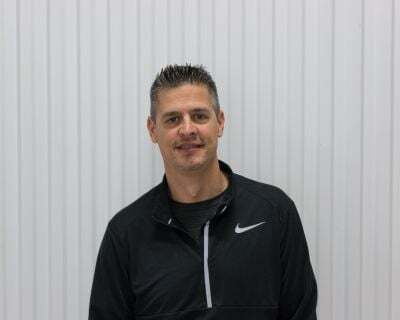 We're the top dealer in Grand Rapids, Michigan and we've been selling all the top brands for over four decades! 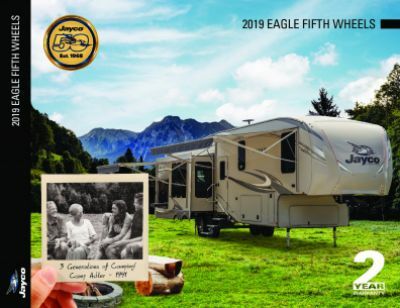 We're conveniently located at 7145 Division Ave S Grand Rapids Michigan 49548, so come in and let our friendly, knowledgeable staff show you how you can own the Eagle HT 324BHTS at a price that will amaze you! Call us at 616-455-5590 and we'll make your dream a reality! The hitch weight is 930 lbs. and the sturdy GVWR of 10950 lbs. means this rig will give you years of camping fun! You can pull out the 18' 0" awning with ease for hours of shade and comfort! 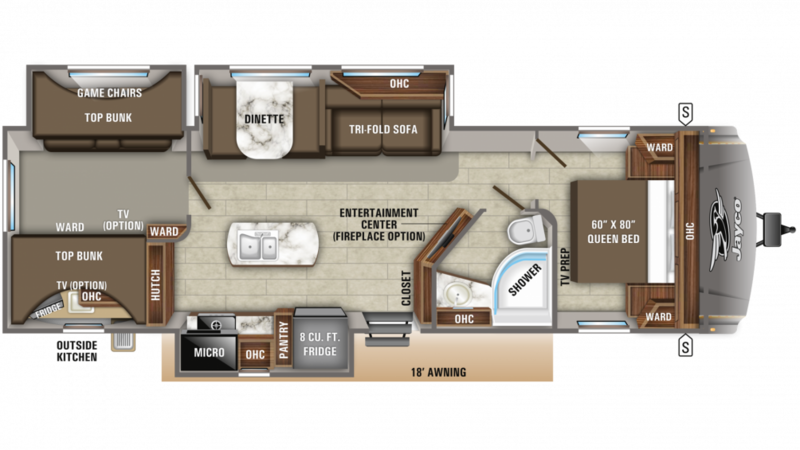 The master bedroom in this Travel Trailer is amazing! It's beautifully furnished and has a spacious Queen bed that you'll relish when you climb in at the end of the day, ready to enjoy a great night's sleep! There are enough sleeping accommodations for up to 10 people! You can forget all about trudging to the chilly, damp, messy campground bath facility thanks to the beautiful bathroom in this great Travel Trailer! You'll have a roomy shower, a lovely sink vanity, and a sanitary Porcelain Foot Flush commode! The 65 gal. gray water tank and the 32 gal. black water tank store all the used water and waste, and the 60 lbs. of LP tank capacity combined with the 75 gal. freshwater tank provide plenty of hot showers for everyone, every day! Nothing feels more like a road trip than sleeping in a bunkhouse! It has super comfy Bunkbeds, and kids or guests will get a great night's sleep at the end of every fun-filled day! Grab a snack and a cold drink from the outdoor kitchen while lounging under the sun!